This is an extension to the project "100 Coffee Drinks Around the World". 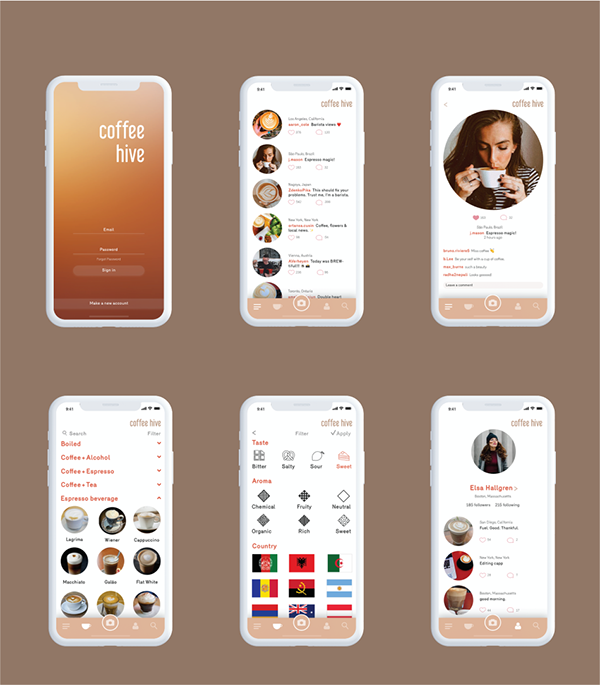 CoffeeHive is a social media app designed for all professional and casual coffee lovers around the world to connect and learn more about coffee beverages and each other. This app allows you to take pictures and share them as well as interact with each other by leaving comments under photos. On explore page you are able to find different recipes so you can prepare it yourself.